The highly anticipated game by System Era Softworks is finally going to be available to the public. Rejoice, Shackers! 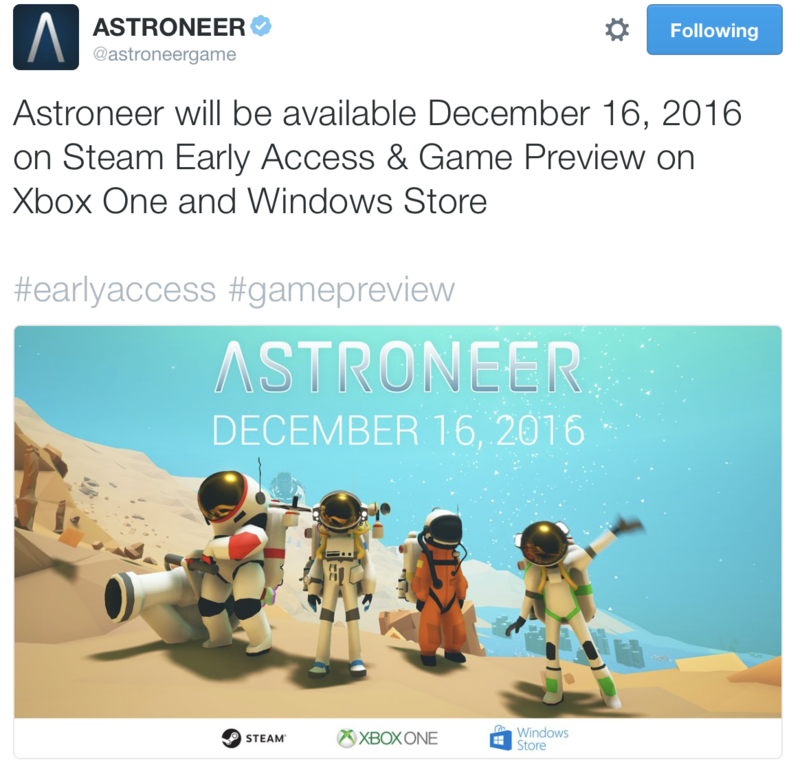 Astroneer will be available December 16th on Steam Early Access & Game Preview on Xbox One and Windows Store. The team made the announcement today on their social media channels. Congratulations to the Astroneer team! Here are some interviews with Adam Bromell, from System Era Softworks. Here is an in depth look at the team behind Astroneer from our friends at Indie Obscura. I'm all about this. I can't wait to uncover a derelict spacecraft and repair it. It's gonna be so cash. This is gonna make bank! I hope I can get my wife in to this. There's also a great preview of it over on Eurogamer. So pleased to see this getting attention.